When U.S. military forces and aid draw down in Afghanistan, as expected, filmmaker Sedika Mojadidi worries about the women. Much progress has been made in her native Afghanistan, with more women working and represented in government and enjoying more rights. But the future remains uncertain, Mojadidi says. Her documentary film, "Facing the Dragon," follows two Aghan women as they navigate through the world of the Taliban and male dominance, amid talk of an end to the 17-year war waged in their country and a fragile democracy. The film will screen as part of the upcoming Portland Oregon Women's Film Festival, March 27-31. 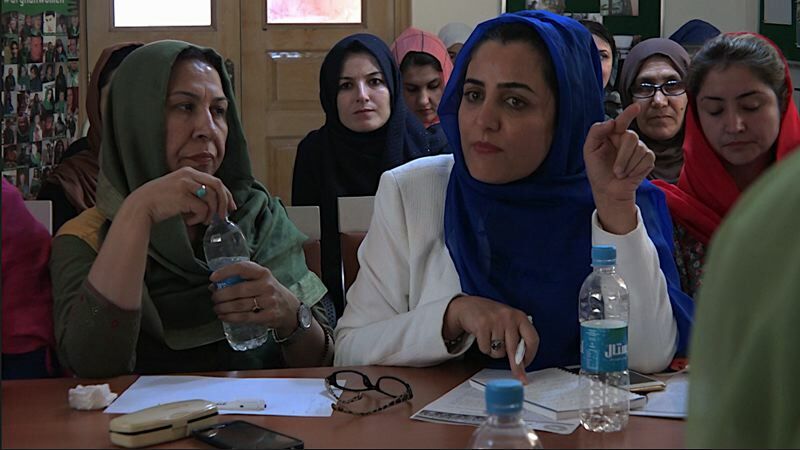 "(The international community) has poured a lot of resources and attention into the country and pushed Afghan women and fostered them to become part of Afghan society, especially after the Taliban regime," says the Brooklyn, New York-based Mojadidi, an Afghan-American. "The problem is sustainability. When the international community leaves, Afghan society won't support that agenda; they were forced to adhere to that. "These are (government) quotas they had to fill and respect. I don't think it's organic to Afghans in charge. ... To make that jump in society is hard; attitudes have to change. They are reverting back (to previous ways); the Taliban control more than half of the country. We're not going to win a war like that, it has to be a diplomatic solution." Against that backdrop, "Facing the Dragon" follows Nilofar, a successful doctor-turned-member of parliament who's driven to secure peace and well-being for women, and Shakila, a top investigative journalist who's committed to explosing the truth about what's happening in her troubled country. Under increasing threats of violence, they are forced to choose between their sense of duty and love for Afghanistan and the safety of their families. It screens at 1 p.m. Sunday, March 31, at the Clinton Street Theater. "Personally, when I watch the film I feel like there's so much more I wanted to do with it and wanted to say," Mojadidi says. "I'm really happy that people are engaging with the story, engaging with the characters." Feedback has been positive about the movie, which is timely given the talk about Afghanistan and the status of U.S troops and aid there. "The irony is we still know very little about Afghanistan," Mojadidi says. "The stories we do know tend to be one-dimensional. Hopefully, the movie shows people's lives and lives of women are more complicated than that. "They're facing universal challenges that all of us face. I wanted to make a film that showed a perspective from an Afghan-American now, and how Afghans live our lives. There are stereotypes we're still working through. It's important as Americans to understand what happened in Afghanistan. We paid for that war, and so much of U.S. foreign policy is about saving Afghan women, especially during the (President) Bush years. Hopefully, people know these women, when people talk about them, they know them." Mojadidi hopes women in the United States relate to the women featured in "Face the Dragon," rather than "walking away saying, 'Those poor women.' That doesn't create dialogue, 'Oh, they're so miserable.' You can't dialogue with that." So, how are Nilofar and Shakila doing these days? They're doing fine, Mojadidi says. 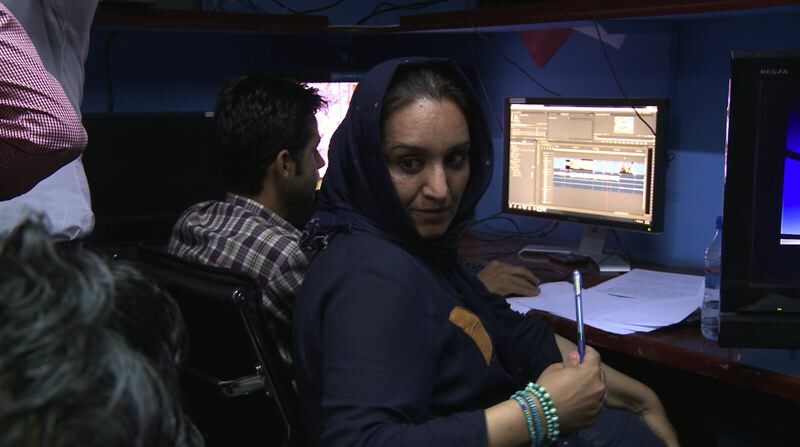 The movie leaves them at an impasse, and since then Shakila has been working in Germany for an Afghan language news service, and Nilofar just won another seat in parliament. There are 69 women in parliament, about 30 percent of the government. The POW Film Fest takes place at the Hollywood Theatre, 4122 N.E. Sandy Blvd., Clinton Street Theater, 2522 S.E. Clinton St., and Holocene, 1001 S.E. Morrison St. Featured films are "Facing the Dragon," "Losing Ground," Fin De Cinema's "Salome," "Los Silencios," "Haendel Variations" and "Terror Nullius." For "Losing Ground," Nina, the daughter of late filmmaker Kathleen Collins, will be in attendance, at 7 p.m. Saturday, March 30, at the Hollywood Theatre. There'll also be scores of film shorts shown. For details, visit www.powfilmfest.com.